We make every school holiday exciting with our range of unique workshops. Using 100% Australian Merino wool felt we will create a beautiful mini landscape in a large glass terrarium. Learn how to make mushrooms, trees, tiny critters and their food. Using 100% Australian Merino wool felt and organic olive oil soap we will be mixing and squishing our way towards all things creepy crawly. Lets make a caterpillar together, maybe a spider and ladybird too! We have lots of 100% Australian merino wool in stock for $2 per ball in case you want to carry on felting at home. Character design is one of the first things that a reader sees when they read your story. In this workshop, you’ll learn how to design your characters so their very presence tells a story. We’ll look at body proportions, costuming, body posture and facial expressions in some classic comics and see how we can apply them in our own work. In this workshop we’re going to exploring the importance of text in comics, from ensuring neat lettering for dialogue, to explosive and fun special effects. We’ll be using calligraphy pens, brush pens and ink brushes to add some extra KAPOW! to our comics pages. This course is suitable for children 10 and above. Learn the secrets and techniques used since Renaissance times to create a mini masterpiece of your own. This workshop is delivered by Elizabeth Marruffo who studied these techniques at prestigious academies in Florence, Italy. We will learn about a few of our favourite men and ladies who painted during the Renaissance too. Sunday 7th and Sunday 14th of August. $250 all materials included. This course is suitable for adults and capped at 6 participants. In this two part workshop, you will learn everything you need to establish a dynamic oil painting practice! 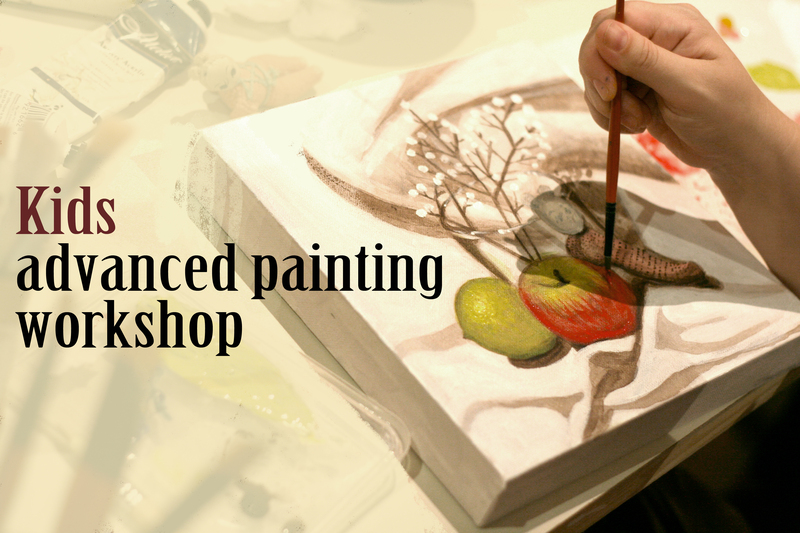 This workshop is delivered by Elizabeth Marruffo who studied old-master painting techniques at prestigious academies in Florence, Italy. You will be guided step by step through the preparation of your wooden surface (as well as advice on alternatives), image selection, image transferal, under-painting, rendering and glazing and the finishing detail stage. Invaluable time saving and money saving tips are part of the knowledge that is shared as well as studio and equipment best practice advice. You will leave empowered and confident about oil painting as well as with a finished hexagonal painting of your own personal, precious item on wood. This course is suitable for adults. In this comics-making workshop, Campbell Whyte will take you through the process of developing a short, 4 page story. From tips of generating ideas, advice on story-boarding with an eye towards constructive criticism and the use of a variety of tools. You’ll leave super charged, with a bunch of new techniques to apply to your next comic! In this workshop you will learn the fundamental techniques of coiled basketry, and how to incorporate found objects or sentimental threads. Led by fibre artist Sian Boucherd (BA Art and Design) you will be shown how these basic skills might be utilised for different applications. Sian has experience working within the field of Land Art and hopes to impart her knowledge of and passion for natural materials; how they move, behave, and how best to work with them. Using ethically sourced raffia with cotton or wool yarns, you are also encouraged to bring along anything you might want to work into your unique vessel; a piece from your garden or recent beach walk; a treasured length of fabric; a feather. You will also have access to a bundle of pompoms handcrafted by Milktooth co-director Elizabeth Maruffo, allowing you to personalise your little creation. Tools, materials and refreshments will be provided.